Vanessa G. Nelson was born in Flint, Michigan; the second of 3 children raised by a single mother. Her upbringing was meager, but her mother always preached the importance of integrity and keeping a good name, as her mother stated, “a good name is worth more than money.” Her mother also stressed the importance of obtaining a great education, learning to be independent, and to “always treat others the way you want to be treated”. Vanessa listened to her mother and lives by those words today. Vanessa became frustrated after witnessing various organizations suffer through massive lawsuits and have to pay huge non-compliance fees and penalties. She also noticed the resulting negative employee morale, as well as the interruptions and distractions in the workplace and how it affected bottom-line profits. In an effort to help organizations protect hard earned assets and operate optimally, Vanessa founded Expert Human Resources in 2009. Every day she helps employers maintain employment law compliance, avoid workplace litigation, maximize human capital, create great teams, and reduce costs. In Vanessa’s spare time, she likes to help in her community, drive her Cadillacs on quick vacations, and write books. She is the author of 101 Costly HR Mistakes and is currently working on a new novel. Vanessa is a results-oriented HR Professional with a unique background in business management, spanning over 29 years at two major corporations in Michigan. She has successfully helped many organizations save millions of dollars via her consulting and expertise, which includes: HR audits, management training, workplace investigations, executive recruitments, management coaching, labor relations, policies and procedures. She also conducts seminars and speaks all over the United States. She is known to be relaxed and easy-going, but serious when it comes to improving organizations. 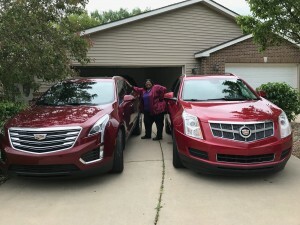 Her clients include: McDonalds, Henry Ford College, Genesee County 911, Mass Transportation Authority, Bedford Public Schools, Old Newsboys, Genesee District Library, Detroit Wayne Mental Health Authority, Valley Area Agency on Aging, and Saginaw Transit Authority Regional Services. Vanessa is also a sought after speaker in human resources. She has presented to several well-known organizations, including the Small Business Administration (SBA), Walsh College, Baker College and Michigan HR Day. Bachelor in Business Management from Northwood University. Michigan HR Day, Speaker: Top 15 Costly HR Mistakes…and How to Fix Them! Walsh College, Speaker: Top 15 COSTLY HR Mistakes…and How to Fix Them!